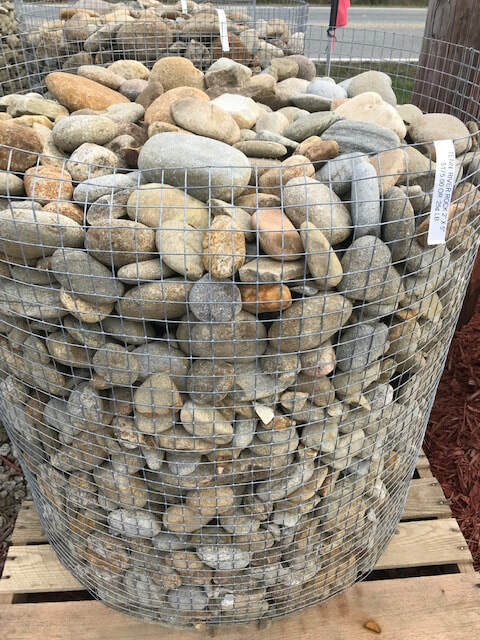 Over 400 pallets of Natural Stone in stock and 20 bins full of River Rock! ​Please note that due to the inherent nature of stone and your browser, the actual colors may vary slightly from these samples. We recommend visiting our stone yard to see actual rock and their colors. These brick chips come directly from a working brick company so you won't find any mortar or demolition debris mixed in. These chips are 3/4 in size and are deep Red in color. This is an irregular shaped stone that is an average of 1 1/2 inch in size. Its multi colored and is very unique. Looks great in flower beds or as an accent stone. Beautiful Browns, Tans ,Black and Coral colors. 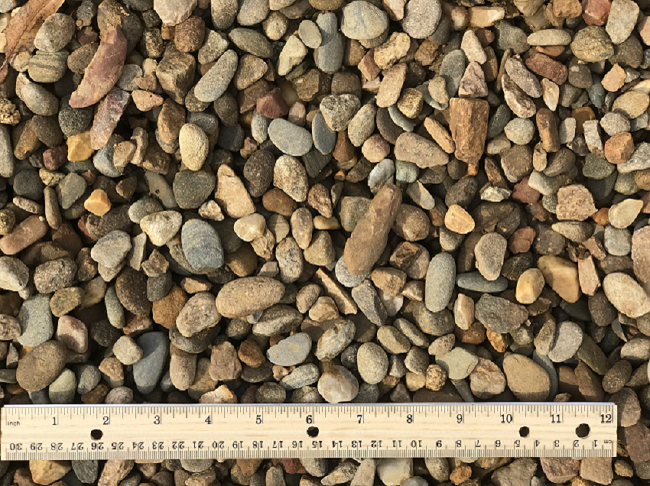 Tennessee River Rock is a round to smooth edges with colors ranging from light tan to light grays.This size is perfect for dry creek beds, edging, borders and waterscapes. 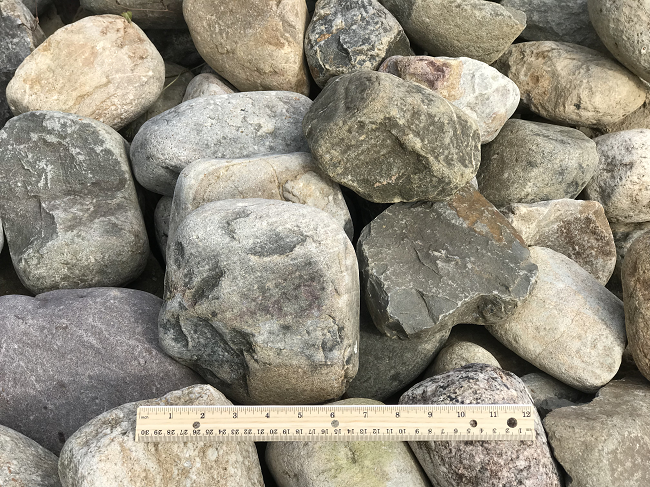 This River Rock comes from Pennsylvania and is available in multiple sizes, If you are looking for a River Rock with color this may be the one for you. The colors varies from Grey, white, green, red and brown. Round smooth edges. Flat to round in shape, comes from the Cane River in NC which gives it the smooth edges. The color ranges from light gray to dark brown with an occasional blue-gray. Works really well in and around water features. Flat to round in shape, comes from the Cane River in NC which gives it the smooth edges. The color ranges from light gray to dark brown with an occasional blue-gray. Works really well in and around water features and dry creek beds. 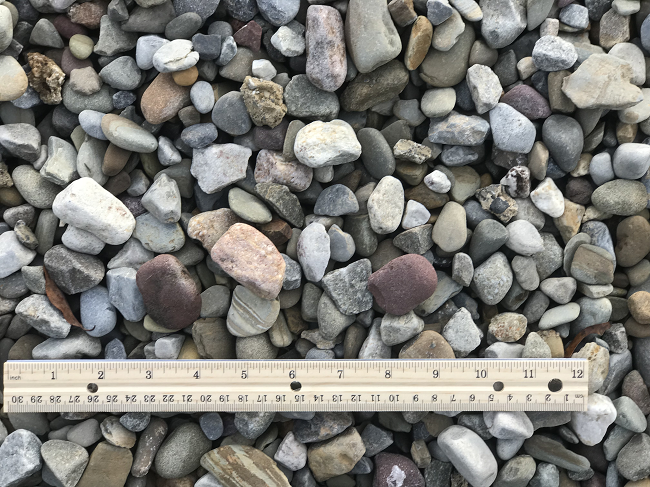 From white sand deposits in NC yields a unique rounded quartzite gravel that's used in multiple applications. From a distance, the gravel has a crisp white appearance. A closer look shows the richness of subtle beige, blue, gray, pink and tan. 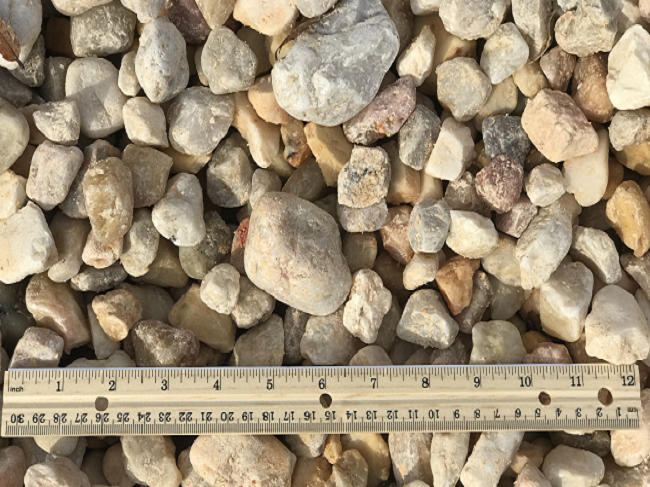 VA. Pea Gravel 1/4 - 1/2"
This is the perfect decorative gravel for walkways trails, patios, around fire pits. 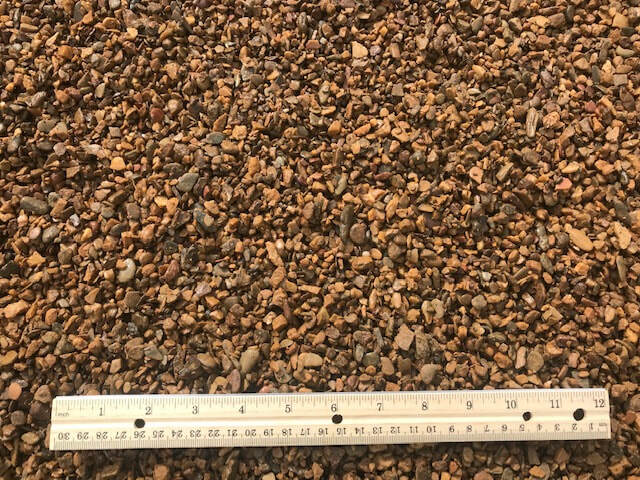 This pea gravel is 1/4" - 1/2" with a mix of earth tone colors. Va Brown Stone is a round to smooth edges with colors ranging from light tan to light grays. This size is perfect for walkways or patios around a fire pit. This stone comes out of Virginia and has a beautiful natural Brown color. Its irregular shapes adds to the beauty. Perfect for flower beds and dry creek beds. 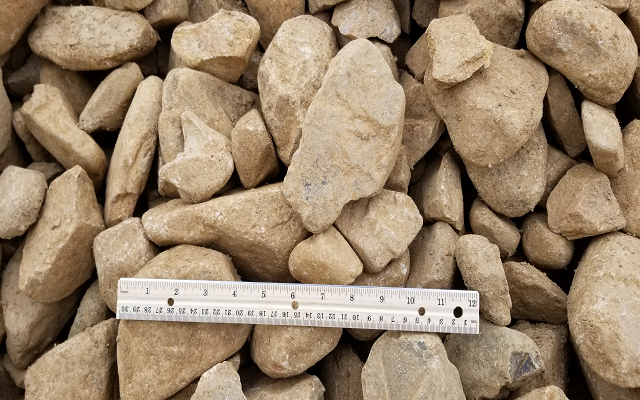 Va. Brown Stone 2 x 5"
We can fill these Super Sacks with nearly any of our bulk products. Just chose the product and we will fill the bag and load it on to your truck or trailer. 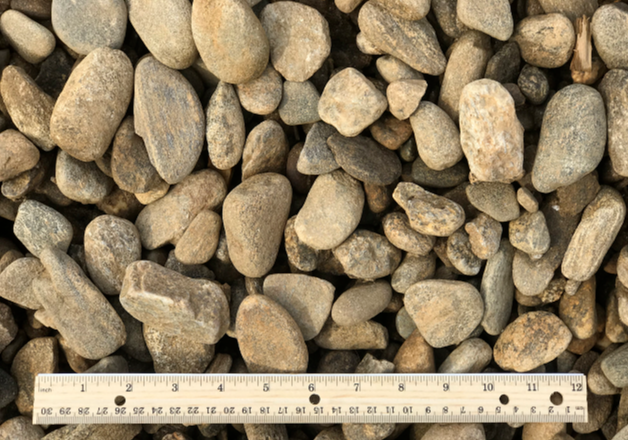 Tennessee River Rock is a great choice for any landscape project. They come in a variety of sizes and the color varies from light to dark tan with some grays mixed in. Perfect to use in place of mulch or for dry creek beds. 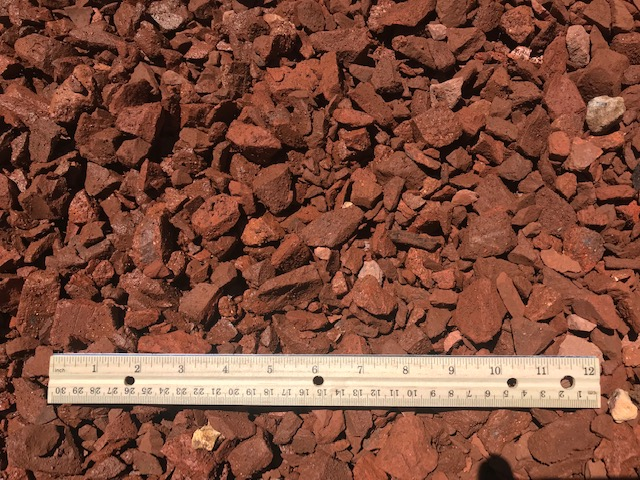 TN River Rock 1-1/2 x 3"
TN River Rock 2 x 5"
The Squirrel Creek offers a lot of earth tone colors in every pallet. Works great as a border or as a dry creek bed. Flat smooth surfaces. The Pond Mix is shaped from round to flat and looks great in flower beds and water features. Tennessee Weathered Boulders are perfect to spruce it any natural area!! We always keep plenty on hard so come take a look. Buy the whole pallet or just pick the ones you want! This is truly a rustic stone with many uses. It can be used for walls, steps, edging or as a veneer. 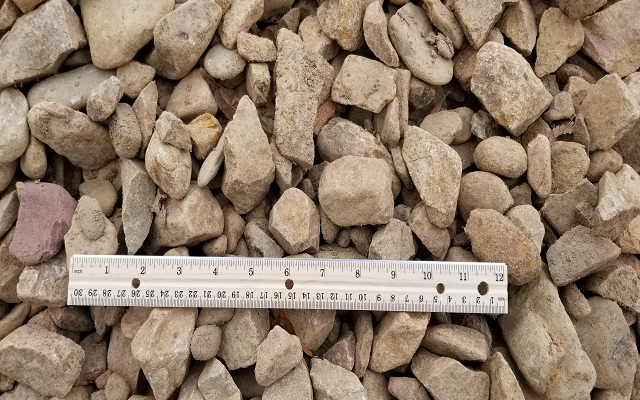 We carry a large selection of River Rock and decorative stone including Tennessee River Rock in multiple sizes, Brown River Rock, White River Rock, Boulders, small and large. 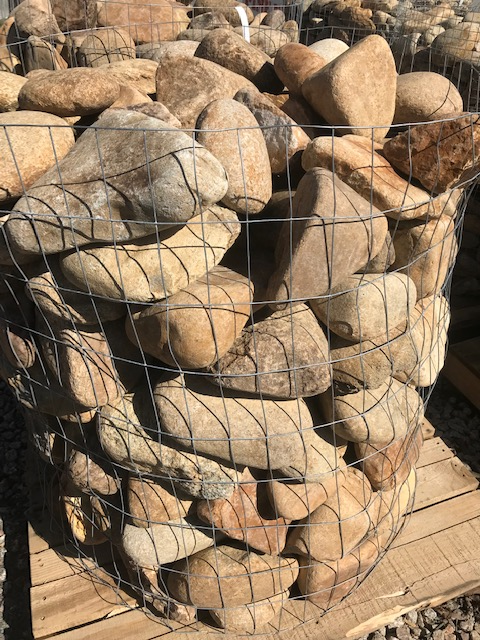 All of our stone is available by the yard or by the pound. We can load your stone into a Super Sack for easy transporting. We offer delivery on all products. We make daily deliveries to Waxhaw, Monroe, Weddington, Wesley Chapel, Indian Trail, Matthews, Mint Hill, Unionville, Marshville, Wingate. Click the "Get a Quote" button Below to get a fast quote online.